Wow, tomorrow is the last day of November and on Tuesday it's already December and it only means that Christmas is on our reach already. I'm actually getting excited and the holiday frenzy is actually getting into me slowly. There are lots of events happening this December and my days will be hectic and busy. We are also giddy about our Hongkong trip because it's our first time to be there and too see Hongkong Disneyland. Our family will be out of the country and our 77 yr. old mom will be with us on our trip, I hope her health will be great because we didn't get any medical travel insurance for her. She'll be bringing her meds though so I don't think there'll be a problem. I'm sure the kids will have a blast and this will be a vacation that we'll cherish. What about you, are you going out of town or country this coming holidays? Christmas is coming so fast and we are all giddy about it because my sis Joy in Sydney and her family is coming home for their Holiday after our HK visit in December as well. My sis Joy migrated there in 2000 and it's only her first time to be home for almost after a decade. For sure she has missed Pinas and I know she will adjust to the environment and the weather as well, her 2 kids most especially. I can't wait for her kids' reaction on our country and I hope they will not have a culture shock. 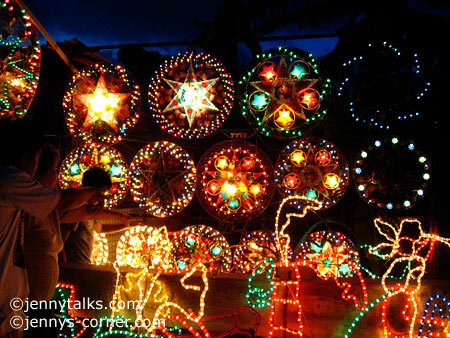 They will be experiencing Christmas in Phils. and for sure it'll be a far cry what they are used back in Sydney. We are all also excited to show them around, maybe have them experience riding the local jeepney and the tricycle..lol I guess it will be a bit noisy for them here, since in their place was so peaceful and not much noise. With their coming soon mom and I were all busy preparing the place that they are staying. Mom had it re-painted of sorts and asked our helper to fix doors and put beds on the bedroom. At our house mom also had repainted the steel gates and the garage was cleaned as well. I have yet to buy Christmas table mantle and cushion and probably look for patio cushions for added accent at the house. We are all really excited to see them!! Few more days and they'll be here! 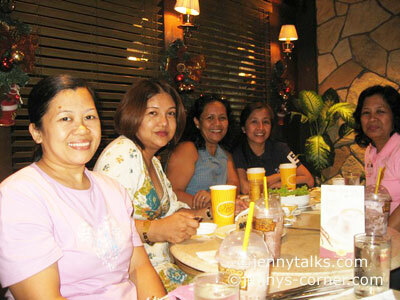 As you all know I celebrated my b-day last Nov. 16th and had a small celebration last Sunday with my family. My older brother cooked bbq spare ribs, chicken and fish tilapia for our lunch. Aside from that, pork stew or (nilaga) was also cooked by my sister in law and some salad. We all had great lunch. While waiting for the food to get cooked I was also busy waiting for Manny Pacquiao vs Miguel Cotto online. Good thing is that there's an online live streaming but there's a lag and sometimes it just freezes. So when lunch time came we all hurriedly eat and got so excited to watch the fight the delayed telecast on TV, wish we have those plasma tvs so we can watch with more excitement. I had lots of fun shopping alone last Nov. 6 because I was able to buy lots of things for myself since it's my birthday on Monday (16th) yahooo!! I love bags so I end up purchasing 3 bags. I just love the Nine West bag that I will be using when I go out to church malls etc and the other 2 will be an everyday bag when I go to my store. I really saved up for these eventhough it was not complete, I still have to buy a wedge shoes. Yearly I treat myself with gifts. Last year I gave myself a Canon 18-200mm lens and a 6million Crumpler bag and this year no camera gadget for a while although I bought a lens blower to keep the dirt away. I still want to shop and I'm itching once again!!! I love when birthday comes! It's always my mom's routine to be in her small garden in our frontyard. She said it's her exercise in the morning by talking to her plants and tilling them. She actually have plants, flowers and actually small fruit bearing trees. In fact, her atis tree already bears fruit and we have tasted it's sweet fruit already. I hope I can have a green thumb just like my mom but I certainly don't have a passion in gardening but I think it's therapeutic as well. The year is about to end in few more days and I am hoping to receive more blessings. There'll be lots of events that will be happening this December and we are all excited about it. My sis and her family in Sydney is coming home for their holidays and of course she is excited as well since she's been out of the country for almost a decade already. I especially would love to see her kids once again and tour around the places here. I am so giddy when I opened my mail this morning and I found out that I got another blessings from heaven. I am so happy and very thankful for that. It's another great birthday gift for myself and I can't thank God enough for all of these. Aside from material things, I am so grateful for our health lately especially to my mom's health. I wish she'll continue to have a good physical well-being at her age of 77. She is still very strong and very mobile, that she is often envied by others of her age. How many decades have we known that Friday the 13th have been feared because it is often believed to bring bad luck? There's even a fear of Friday the 13th called Paraskevidekatriaphobia. I guess if you are superstitious enough there's no doubt that you will take extra precautions or will not tempt to even go out of your house. I'm not sure if I believe Friday the 13th because just like any day, it can bring bad luck to you. If it's your time to die or perish in this world then it's really your time, maybe it just coincide with this popular superstition. What about you do you believe Friday the 13th will bring bad luck? Wow it's Friday once again and time really flies so fast. I am quite busy these days, juggling my online and offline works plus I'm getting giddy because it's gonna be my birthday on Monday. 1. The last band I saw live was Side A band. 2. 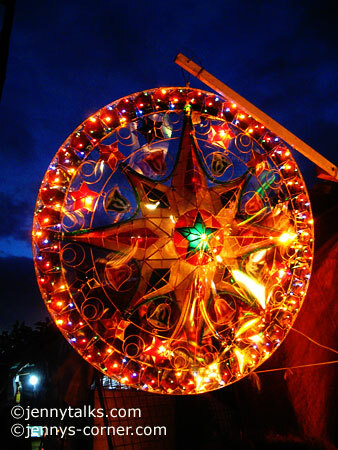 What I look forward to most on Christmas is our Hongkong Trip and the vacation of my sis and her family here in Pinas. 3. My Christmas/holiday shopping is gonna be expensive for sure. 4. Thoughts of my birthday and shopping fill my head. 5. I wish I could wear a 2 piece bathing suit..lol. How Many Hands do I have Right now? I know you already know that I do monetize my blogs and I have been doing this since 2007. It helped me a lot with my bills and all and I’m so grateful for that. I have quite a handful of blogs on my sleeves that I need take to care and update once in a while and I can tell ya that it’s a lot of work especially if you want to be it updated and still informative blog despite having some sponsored one. If I got some time, I do some blog hopping, creating posts that is search engine friendly but I have not signed up for a free directory list. I might look into this one time if my work load is that the hectic. I’m juggling my offline and online works in my hands and I do think I’m doing pretty well on it. I think I have 10 hands right now hehe, what about you? I have two HP printers here at my internet café bec. there are times my customers flock to have their documents printed and having only one printer will only delay the printing services. The other one broke down few months ago and the reason for that it is always jamming papers frequently no matter how thick or thin, smooth or rough the paper I put in it. I also thought that a cleaning will do but looks like it needs Anilox cleaner to do that? Hmmm.. I finally gave up troubleshooting it and since the ink cartridge is a bit expensive than the other HP printer that I’m using, I just thought that I will not have it fix and will not use it anymore. I guess I will just buy another one since if need arises. Now that holidays are slowly sipping in, I can’t erase the thoughts about our HK Disneyland travel in December, more Christmas shopping and of course home improvement. I don’t know about you but during December and before the new year starts, we gotta have a home improvement of sort in our house. It doesn’t have to be expensive and a major one though. A simple major cleaning, a replacement of old furniture or just jazzing up our home with a new curtain or a new a new flower vase is fine enough for us as long as there should be new for the coming year. It’s also nice to dream of having a swimming pool, a gazebo where I can sip a coffee or do my blogging there while hearing the chirping of the birds. For home improvements occasionally we should not always chuck the old furniture that we have because they can be customized at any time. What about those seemingly ugly and worn out cushions that you have, you can actually have it customized. Hello peeps, wow it's November already and I can't believe how time flies. We went to the cemetery last Sunday (Nov. 1st) to visit the tomb of my dad. Actually it's a tradition here in our country to visit our dead love ones in the cemetery to pay respect. We brought some candles, flowers and a lot of food. It was hot and humid at the cemetery but it's fun as well because there are lots of people coming in and out of the cemetery till evening. We brought along our cameras, SLR, DLSR and point and shoot cams and we had fun taking photos of each other. I will just share some pics later since I am too lazy to download it from my memory card. We went home around 6 pm. I've been recently re-discovering the cooking diva in me, not that I am an expert or a very good one but I remember the times when I used to cook all the time. Those are the days when my work and schedules are not that hectic and looking for nice recipes on cookbooks and even watching a local cooking shows on TV. When I became busier and that is when I was slowly engulfed by the computers, I can only count in my fingers the times that I cook. Recently, eventhough I am still busy, there came a point where I got interested in cooking once again. My family even teased if me if I ate something different that all of a sudden I wanted to be the house cook hehe. Now that net is here, I found myself scouring for simple recipes that I can whip for my family. 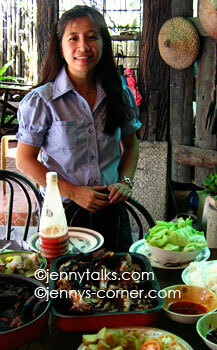 My fave viands are with sauces or stew like and I also particularly like grilled chicken or baby back ribs. Now that my birthday is coming (actually few more days), I plan to cook a small feast for my family and that includes ribs and seafoods. I already saw a recipe at Youtube and I'll be trying that out. For those that don't have time to cook or those that fancy dining out, a nice resto can actually please them. Just in case you are looking for a steak and seafood house in midtown Manhattan, then I reckon you can try Rosie O'Gradys, one of the leading Restaurants In Manhattan. Take a look at one of their mouth-watering feast. What about their Swordfish Steak, Lobster, Filet Mignon? Aren't you hungry already just like me? Finally Sen. Mar Roxas and news anchor/journalist Korina Sanchez tied the knot last month and the clips were the even shown on almost all TV channels. Korina is radiant with her Filipiniana dress and teary eyed when she walked down the isle at the Sto. Domingo Church. The church was clad with beautiful white roses, sampaguita and more. The guests arrived with their best Filipiniana attire as well to go with the couples theme. After the wedding, there’s no lavish reception bec. the couple decided to cancel it and just donated money for the victims of recent typhoons Ondoy and Pepeng. A simple with native delicacies was only served after the ceremony but there’s a family gathering happened as well. The wedding was beautiful and of course if we can only have that dream wedding for ourselves then why not? I myself have admired the couple’s wedding sans the lavish reception but they made it sure that people will have a glimpse of their union bec. of the big projector outside. For those that tying the knot soon or next year perhaps, I know that planning is a bit of a work but nevertheless fun to do as a couple. It’s always exciting to choose what gown, invitations and wedding rings and other wedding needs that you have to choose. For many years couples have chosen gold or for some silver rings but these days platinum wedding rings have been opted as well. Platinum are rare metal as well and may resemble silver and have known to be a durable metal as well. I was browsing YOUTUBE for Typhoon Ondoy videos when I saw this Typhoon Ondoy Hits UERM School Campus and it was heart breaking to see cars being washed away by the raging flood. Take a look at the lady doctor who was still in her car but managed to get out of it and went on top of the roof. Last night I was even shedding a tear or two when I saw this. This is just a small glimpse what have happened last Saturday, there are more disturbing stories not needs to be told by survivors. It was a gloomy, sad and scary day for all of us here as Typhoon Ondoy showed its fury. It left many homeless, some still on top of their roofs waiting for assistance and rescue. Manila and other nearby provinces(including ours) are already declared in the state of calamity since yesterday as floods are everywhere esp. in Cainta, Pasig and Marikina area. We aer still lucky that eventhough our place was flooded yesterday it subside after few hours. How we wish all of us here in Pinas can have a great family vacation esp. those offered by Karisma Hotel where there are great amenities, beach front accommodation and lots more. 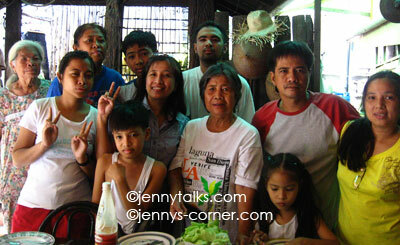 With the situation our country is in right now, families were left with no homes bec. of typhoon Ondoy. A big disaster for all of us here and as of this writing there’s massive rescue operations being done. Yesterday was really different because those areas that are not experiencing floods are submerged already. Right now, we are not finished cleaning our place yet and it’s so sad to see the news on TV. We are still lucky that we are not much affected. So you think I am way too early to have my Christmas wish list? I have posted it early at my other blog because it is for our Bebot/Twitter Christmas Exchange gift this year. We have to start this early because we have members who is in US, Canada, Singapore, Hongkong and here in Pinas so we'll have ample time to buy and ship our gifts. In this way, we'll receive our gifts before Christmas so everyone will be happy. Last year, we have a member who unfortunately got her gift already February because of shipping problems. Imagine that? We all hope this year will be a breeze bec. we need to send our gifts before October ends or early Nov.
View my Christmas Wishlist here. My bestfriend Race and I were talking about our lives and that includes our health most of the times. She recently quits her 9-5 job of over 6years and now she is a WAHM and she's been more busier as I have noticed. She frequents her daughters and son's school for activities and even though it will be tiring for her, the joy is incomparable since she was able to give more time to her growing kids. I could not see any resentment on her when she quits her job but more happiness as she was able have her own time for work, wife and mommy duties. Her love for cooking also surfaced again and her kids are loving it. It is also a reason why she's been putting up a little more weight and I told her that she needs to keep in control or else she might end up reading best weight loss pills reviews hehe. I even teased her that when we were in highschool her waistline is only 24" and now it has increased. Right now, I know my bestfriend is enjoying her WAHM title as she can get the best of both worlds (work and family). The rain just poured so viciously yesterday afternoon like it was a doomsday. I was a little worried that the electric power might go off because the lights are flickerin’ in from time to time. Aside from the gusty wind and the heavy rains there’s a thunderstorm for a moment that scared my little niece away that she had to cover her ears and run to her mom as fast as she could. So lucky that the light didn’t went off but it was horrible because after few minutes the rain subsides my internet connection suddenly was gone. What a bummer! I was dialing my Internet service provider to complain about it but unfortunately my call can’t get through either. What an unfortunate day! One hour passed and there’s no net connection still so I was kinda piqued already because my net café customers are coming but I have to tell them that I have no connection. It’s sad to see them go and lose profit for that day but there are things that's beyond our control. Without a net connection last night I was forced to close my shop very early at 6 pm and just went to a friend's house. Wish I have a better ISP with much faster connection as well. I always hate this time of the month when I am just so sluggish and difficult. Arggghh I don't like this feeling as I have many "sungit" moments. I am also unproductive today because I am feeling uncomfortable, I feel bloated and this is the time that I want to lose belly fat in an instant. Eventhough I am slow and it seems like my mind is not properly working, I need to get moving or else I will be stuck. Oh well I know this will surpass in few more days so please bear with me. I am just hoping that you are all having a wonderful Thursday.! Before I will hit the sack, I just want to leave this. I bumped into a childhood acquaintance few weeks ago and of course we exchange stories about how our lives went on for all those years. I immediately noticed her baby bump and asked her how many kids does she already have and it turned out to be that she was only conceiving right now as she had been wishing for a baby long time ago. I teased her that it’ll be perfect to have one of those baby shower party that are “in” lately. Looks like a baby shower will be on the way, I am not sure if I will be the one organizing it but I will just share them a site that has lots of party baby shower invites that they can look into. It was last week when I ordered another 39 pages 8x8 photobook at ARTSCOW and i hope it will be delivered it this month. 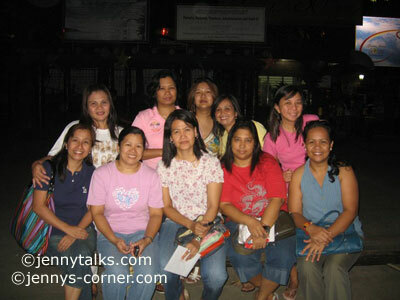 It's actually a photobook that I layout usign photos of my highschool batch semi-reunion this year. I got a good discount in this book, as I only paid half of the price. I can't wait for it to arrive and show it off to my former classmates. Ahh I miss LITRATONG PINOY soooo much. It's been a while since I have joined the photo hunting at Litratong Pinoy and I am feeling guilty over it already. I was once a very active member of our group but now I think it was over a month already since I last joined. I felt sorry that I really don't know the new members already because I was so busy right now . I still peek at the site and hoping to come back again there soon. There are times I have those days when all I ever did was to think about my future. Some few thoughts made me smirk or hold back a tear or two. I have to say that I also envisioned myself getting married and have a baby shower while friends. It’s this dream will ever come true I know I will not have a time finding baby shower invitations for I have scoured the internet already and saw good finds at cardsshopp Budget is not a problem because invitations baby cards from CardsShoppe are affordable and free shipping is for free. Their in-house designers can also create an exclusive design for you just in case you can’t find a design perfect for your. Woot.. woot .. I won! I was happy to found out the other day that I won at a mini-birthday contest at Cherry Rose's blog. She had this contest in line with her 20+ birthday at her blog and all participants must leave any birthday message to her. She then had it raffled using the random.org system and voila, I won! (1st place) What's the prize? A round trip ticket to PARIS! wahooo.. Nah just kidding, wish it was true! My prize is a necklace from GUESS.. yebah. Thanks Che, looking forward to it. I've been so lazy to even get up early in the morning to get at least a simple exercise. Gone were the days when my sis-in-law, my bro and I will do our daily morning badminton play just outside our house. I miss those hits and miss on the shuttlecock and the jumping and reaching out that makes us sweat. I just hope we’ll get back to that soon as my sedentary life style is killing me now. If only I can drag myself to carry those rackets once again. I have great admiration to those that have so much discipline to do their exercise by going to the gym or those that are into sports as they take it seriously. There are many sports that seemed to have increased it popularity and aside from basketball where men can really show off their skills, I think that Airsoft has become popular too. Airsoft can build participant’s competitiveness, mental alertness, tactical capability and lots more. In fact, there are lots of aeg airsoft rifle and other accessories being sold now online and one of them is at www.zephyrairsoft.com. They even have package specials so you can these items for a low price. Go check them out. My older brother always loves collecting things. He started many years ago collecting Coke products and there’s even a time when I have to scour all stores selling Coke stuff just to add to his collections. Aside from Coke, he also loves collecting toys from McDonalds especially when a certain movie has shown. He had this big cabinet with glass where he puts all his collections. He also love cars and motorbikes and I’m just showing you some of his Ferrari toy cars that he bought from time to time. My sis in law and I are thankful that he is only into Ferrari car toys and not the real one hahaha. Of course we can't afford to have one as those Ferrari cars and Ferrari parts are very expensive. Maybe if will will at Lotto.. lol. I think bro will be adding more once he sees something that will interest him and can buy. What about you what do you collect? Who doesn’t want to take a break from work? Every one of us deserves a little pleasure from travels. In fact, having one can recharge or invigorate us because it releases our tension and once we’re back we feel rejuvenated. It doesn’t mean that you always have to tag along your whole family or friends with you because there’s this singles holidays tour that you can join. Just some of the perks of taking a vacation to a new place is the chance to see different culture, places, eat new foods, go on shopping and of course meet new people or even make new friends. Singles Holidays tour are popular in the UK and it doesn’t mean that you need to be single to have a tour. At Just You you’ll have the opportunity to meet people from all walks of life and ages. Sometimes traveling with someone other than your family and friends can give you a whole new meaning to new friendship and seeing the world in new aspect. SINGLES HOLIDAYS for adventurous individuals will find it exciting. Just You offers fabulous escorted holidays worldwide and groups may include at up to 30 people that you can meet and mingle before you even fly. Your Tour Manager will take care of you and will make it a point that you as travelers will have fun. You can contact them through their website http://www.justyou.co.uk, booking can be done online or you can call at their nos. Browse their site and learn more about this Singles Holidays. 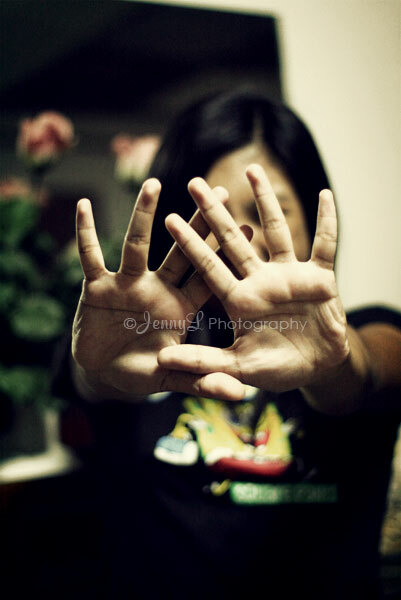 Just saw this photo from my files using my 50mm.. ahh i dearly miss it, dunno if I will buy again this year.. I was blog hopping and I was stuck when I saw that a prohibited drug cannabis or marijuana in layman’s term was being used a treatment for medical conditions? It’s my 1st time to have heard such and I was deeply thinking if this was true. I also chanced upon a Medical Marijuana forum where members are talking and sharing about their experience using this drug. I just hope that who ever is using this will not use it for a wrong purpose and before you even take it you need to consult a doctor first or else you might end up addictive of it. I'm taking a quick break from all of the deep thinking that I am doing for the last few days and it sometimes "frying" my mind already.. lol. Every time I need a break, I just open my CD player and pop on some music. This one, I found this song Gift Of A Friend by Demi Lovato and i think it's cute. It's raining outside and it is due to Typhoon Marce who just hits our country in the last few days. I didn't go to my shop today but my sis-in-law was kind enough to take care of it since she has no work today. I just had my late lunch at 2 pm and now I am becoming slow that I just wanted to slumped on the couch and took a nap, I will do that later to keep me recharged. Not much goin' on in my life these day aside from the fact that I am too busy with mall my online works. I feel blessed and I am planning on sharing it with my family these coming days. I am just hoping that the blessing will continue to pour as I am open arms to take it as long as i have energy to do so. Just thought I don't want to miss this rare day of 09-09-09, not quite sure if it's really a lucky day but for sure this is rare one when you think about it. I even asked my mom to have a photo whit me which I have posted on my other blog. I also heard that many tried to get married on this day for they believe it will bring them luck hehe.